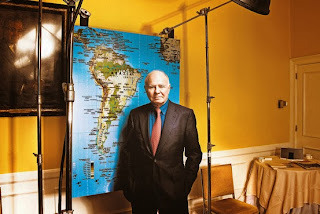 Marc Faber says the Western economies are declining compared to countries such as India and China. The millennials earn much less than their parents did in real terms. And Dr. Faber thinks it is a sign of a massive shift in economic and political power from the West to the East. He says that in 1960 China and India was just 5% of the global GDP but today it is at 30% of global GDP. In 1989, the Japanese stock market capitalization was only 50% of the world stock market capitalization. Today, the US is at 52%. It is likely to follow the lead of Japan. The Fed and other central banks slashed interest rates to boost asset prices. At the same time, the cost of living for young people has gone up substantially across the Western world. Dr Faber says, "If affordability goes down, demand can't be strong." In major US cities like NYC and Seattle, people spend around 50% of their wages on rent. Interest rates are kept artificially low. Faber thinks it's an unprecedented experiment that will end badly. Faber says, "I would be reluctant to short treasuries now... just look at how long the rates have stayed low in Japan." "How do we invest in this rapidly changing world?" asks Mark Faber. He advises to avoid passive investment, US equities. US equities are the most expensive relative to other markets. Faber points out that the resource sector is very depressed today: "If I had to chose one sector, it would be the resource sector." Faber also believes that the US dollar will weaken going forward.